Based on airplay attained during the March 12-18 tracking week, singles by Stargate, Chance The Rapper and Maggie Lindemann earn Top 50 positions at pop radio. 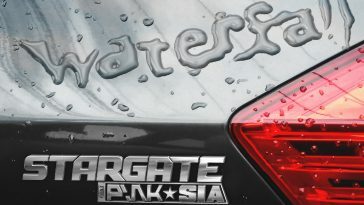 Credited with 513 tracking period plays (+305), Stargate’s “Waterfall (featuring P!nk & Sia)” ranks as the Mediabase pop panel’s #47 song. It was #58 last week. Up six places, Chance The Rapper’s “All Night (featuring Knox Fortune)” takes #48 this week. It received 463 spins during the official tracking period (+130). Lindemann’s “Pretty Girl,” which received 401 tracking week plays (-17), rises one spot to #50. — “Waterfall,” which premiered on March 10, is thus far off to an even better start at hot adult contemporary radio. It debuts at #35 on this week’s Hot AC chart. 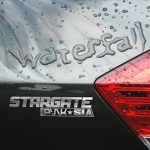 Stargate has written and/or produced many big hits, but “Waterfall” is the first radio release on which the duo receives lead artist credit. The newly released music video has garnered 800,000 views in three days. — “All Night” concurrently slips to #22 (but posts an airplay gain) at rhythmic radio. It rises to #32 at urban radio. — Lindemann performed “Pretty Girl” as part of an acoustic set at YouTube Space in New York this week. The rising star expressed excitement and gratitude over the reaction to the song, including the news that it was headed for pop radio’s Top 50. While not yet a major radio hit, “Pretty Girl” has definitely found a sizable multi-platform audience. Its lyric video has amassed 4.4 million views since its late-January release, and the official music video is at 1.7 million in just over a week. With remixes included, it has generated over 10 million Spotify streams.